It's time for the Hoppy Easter Blog Hop, and we're talking memories! One of my earliest memories is of Easter morning. I was maybe three or four, and we lived in a little house near North Edwards Airforce Base in California. The desert spread out around the house for miles. Our front yard was desert, our backyard was desert, the neighbor lived two desert lots over, and right across the street from the house was nothing but desert. In my mind, that meant we lived in the middle of a never-ending desert. I remember thinking it was completely awesome that the Easter Bunny really visited us that far out. For some reason, I thought he was like Santa Claus and lived in some cold place where he hibernated every day except Easter. Don't judge me. I was a little kid! When we went out that morning to hunt eggs, we found one in a cactus across the street from the house. I have no clue which of us girls even found it, but I remember thinking the Easter Bunny was magical because he got that egg in the cactus and we didn't even hear him cry, so he must have done it without hurting himself. That egg was the holy grail of eggs for that reason alone. We all stood around eagerly as my older sister and dad tried to wrestle it out without impaling their fingers on cactus barbs. It didn't work out so well, naturally, and the scene ended with tears and recriminations, not to mention a few nasty cactus barbs to the fingers. I didn't care though. I still had a basket full of Easter eggs because the Easter bunny had come all the way out to the middle of the desert to hide them just for us. To my way of thinking back then, that made me a VIP. I was totally the E. Bunny's favorite. And I was totally bummed when I finally realized the Easter Bunny wasn't real. But I still remember how excited I was about the Easter Bunny putting that egg in the middle of a cactus, without hurting himself, just for us. I think about that every time I see an Easter egg, and I can't help but smile. There's nothing like viewing the world through the eyes of a child. Unless you're Dace Matthews. Thinking about my childhood over the last couple of weeks made me realize that Dace doesn't have many happy memories of his childhood. His parents died when he was young, and he was on his own. That makes me sad. Everyone needs a happy memory from those long ago days when magical bunnies came out of hibernation just to bring you eggs in the middle of the desert. So, I've decided we're going to spend Easter on memories! Who knows, maybe it'll shake a few loose for our wayward TA and Fade's hero. I think he could use one or two. :) And there's a prize involved for helping get him in the magical bunny mindset of happy days gone by. 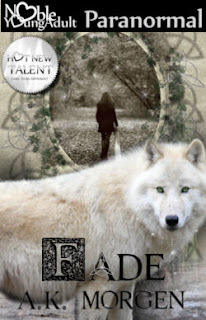 One lucky commenter will win a copy of my debut YA novel, Fade, upon release from Noble Young Adult this spring! Share one of your childhood memories in the comment section of this post between now and 11:59pm (Central) on April 8th. On April 9th, I will put all of your names into the magical randomizing machine over at random.org. The magical machine will then pop out a list of names for me. The name at the top of the list wins the ebook. If you share your Peeps with me, you also win my eternal gratitude. I thought so. 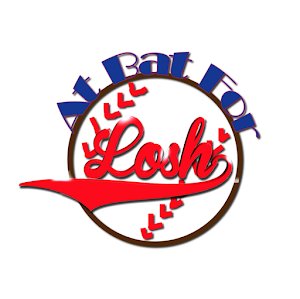 Want other chances to win great prizes from all across the blogsphere? 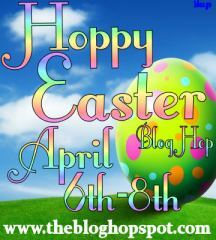 Check out the Hoppy Easter Blog Hop here. 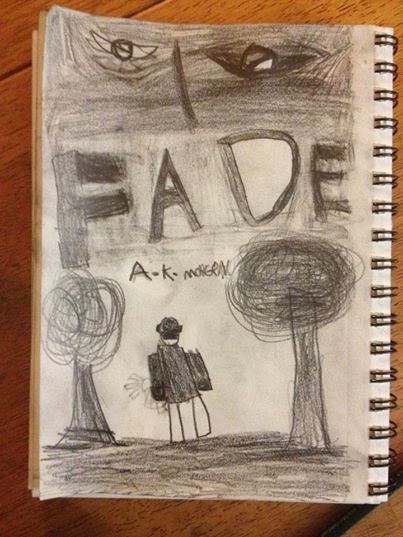 Want to know more about Fade, or read an excerpt? You can do that here! So... what's your favorite childhood memory? Hoppy Easter, all, and don't forget the Peeps! Oh, we had so much fun on Easter Sunday. Our entire family -- including extended family -- went to my aunt and uncle's farm. There were tons of eggs. One was always wrapped in silver tin-foil. The one that found that egg got money. I found it once and was so excited. I think I was about six. My own daughter is grown now--I miss those fun times. Aww, that sounds like so much fun! We got snow on Easter one year. That was bizarre, but we had a blast. :) Thanks for commenting! I was a teenager and I knew that the Easter Bunny wasn't real so my mom let me help hide the eggs for my brother and sister. I remember watching them yell and run around the yard. They were so happy. It made me feel awesome. I helped hide the eggs every year after that. Now I hide the eggs for my own daughter. lol Best part of easter. Thanks for the giveaway. Kaylyn, I never got to help hide them as a kid, but now that we're grown, I get to help hide them for my niece and nephews, or help the wheelchair bound nephew hunt them. We always have so much fun! Thanks for commenting! When I was a kid, I think Easter was the far more relaxed holiday. My brother and I were the youngest of our cousins, so we were the only ones dressed up in nice church clothes, getting Easter baskets. We had these awesome baskets, that were rounded rectangles, and on one end was a bunny head and the other his tail. How I wish my Father hadn't toss them out. So my brother and I would go to Church with our Mom and when we got home the Easter Bunny (usually my Father and Grandfather) would have hidden the eggs around the house or yard depending on how cold it was that day. A lot more relaxed though then the giant family dinners of Thanksgiving or Christmas. I wouldn't say it's a favorite, but definintely memorable. When I was about 10 or so, I was in girlscouts. I remember being at camp around Easter and the troop leader had hidden a bunch of boiled eggs that we had decorated. We had to find the eggs for breakfast! It was a lot of fun. Nothing like food for an incentive. author_shannon_leigh at hotmail dot com. My favorite childhood memory is going to Disneyland. My favorite Easter memories from childhood kind of all lump together. We always had this huge easter egg hunter at my G'ma's. She used those big eggs that you used to get pantyhose in? They were filled with candy or money, so it was always a good find! Kassandra, that sounds great! We always did boiled eggs when we were kids. Not as good of a find, but always fun. :) Thanks for commenting! I remember one year my dad lost the paper listing where he hid all the eggs for the egg hunt, and well it smelled like sulfur in the bushes for weeks, lol. Ohmigosh, we lived with my grandparents for a while when I was growing up, and the chickens got really good at hiding their eggs. My male cousins loved to go out and find them, and then burst them open. It was the most awful smell! Thanks for commenting! Kelly, that is adorable! And I'm completely jealous. I've never been to the Bahamas! My favorite Easter childhood memory would be the year that I made my little sister the coolest Easter card/activity book ever. I liked to make my little brother and sisters little presents for Easter and I had made a giant egg card that had tons of pages of activities in it like coloring pages, dot-to-dot pictures, mazes, and other little activites that I had printed out. She loved it! Brandi, that sounds like so much fun. I bet your brother and sisters loved those! Thanks for commenting! One of my favorite Easter memories is when my siblings and i woke up to big baskets of candy and a board game a piece. We took all of our candy, threw it into one huge bowl, put it in the middle of the table and my famiy played our board games all day long. I remember having so much fun! Laughing, having a stomach ache from eating to my candy and nothing else! Its one of my favorite memories. :) Happy Easter! You have a wonderful time and have a great weekend! ;) Thank you for sharing and for the giveaway! May favorite Easter memory, i was 6yrs old and we lived in Germany. It was the first Easter i really remember. We lived in off base housing and all l the neighbors decided to do one big egg hunt. Well one rule was not to put any eggs at the top of out little hill. Well that rule didnt take. 2 of us go for the egg, and end up pulling a jack and jill down the hill. Lol first time i got an easter dress dirty and didnt get in trouble. Aww, I hope neither of you were hurt! I love big egg hunts like that. We did one at work today for all of the kids. It's always so much fun to watch an army of little kids rushing to find the eggs. They're always so excited! I don't have memories of Easter as a child. We didn't celebrate it. So I have decided to change that for my children. We go big! We go to church, have a big egg hunt, then have dinner with my hubby's family, which is very large. Our egg hunt has special eggs for each child to find as well as the grand prize egg that is decorated. Usually it comes with $5. Mel, I bet your kids have so much fun with that. Money-filled eggs are always the best! :) I'm glad you've been able to go big for them! I just remember the whole family gathering at my grandma's house after church for dinner. My best memory is when my brothers and sister and I went to stay with my Uncle Joe and his family down in Alameda where he was stationed in the Navy. They had a tradition where they hid your Easter Basket and you had to search for it instead of eggs. It was so much fun and you weren't allowed to tell anyone where thier basket was if you found thiers. Z, oh I bet that was a blast! At Christmas, we use fake snow and spray Santa's footprints leading from the fireplace (or front door) to the big gifts for my niece and nephew. They love following the trail as much as they do the gifts at the end! We never did Easter egg hunts when I was little but I do remember going to sunrise Easter services outdoors at the park. I always enjoyed attending those. Linda, I bet they were beautiful services! I wonder if any of the churches around here do sunrise services at one of the parks? I'll have to find out! My fondest memories of Easter was my father and I coloring eggs. Daddy would always have the neatest decorated eggs. He always encouraged me and helped me make pretty eggs too. Teresa, that sounds like such a great memory! I always think I want to decorate eggs, until I actually start doing it. I am so impatient and not at all visually artistic! Mine usually look awful. We really didn't do anything except hunt eggs when I was little. Easter for our family was usually spent with our best friends, who lived about an hour away. Most years we went to their place, but I do remember one year when they came to us. Their daughter, LeAnne,is just about a year younger than me & a year older than my little sister, so the three of us got along really well. Before they arrived, we had already had our family Easter egg hunt, but my sister & I didn't want to hoard all that fun, so we asked mom to re-hide the eggs, so we could hunt again with LeAnne. She obliged, but when we asked her to do it the third time, she said if we wanted to hunt eggs all day, we would have to do our own hiding. It took a little negotiating, but we finally came to an agreement, that we would take turns hiding for the other two to hunt. Needless to say, by the 5th or 6th round, it was more a contest to see who could find the best hiding place, rather than who found the most eggs. As I recall, someone finally discovered such a good hiding place, that their egg didn't get found until later in the summer, when it started to stink. Still it's my fondest Easter memory. Pam, one of the best parts of Easter is the cute dresses! Now that my sister has a little girl, I just love getting to see her outfit on Easter. It's always adorable. HI! You are so adorbs. My favorite Easter/Pasach memory would probably be being on a farm in Germany when I was about 6 during Spring and the town having a huge Easter egg hunt. I am a super competitive kid and so was my brother. We were competing and being brats and trying to GET ALL EGGS!!!!!!!! Like insane beastchildren that I am sure my parents were SUPER proud of. I remember seeing a bunch hiding in a fenced area but not super well hidden and thinking "SCORE!!!!" I don't remember anything specific. We all always got together for Easter at my Uncle's. We spent time with our whole family, and hunted Easter eggs. They owned sheep, so if there were any lambs we always went to see them. It was just time for us to all be together.